The release is set to hit stores soon. Following last week’s initial announcement, we now have a look at the entire The North Face Urban Exploration Black Series collection. 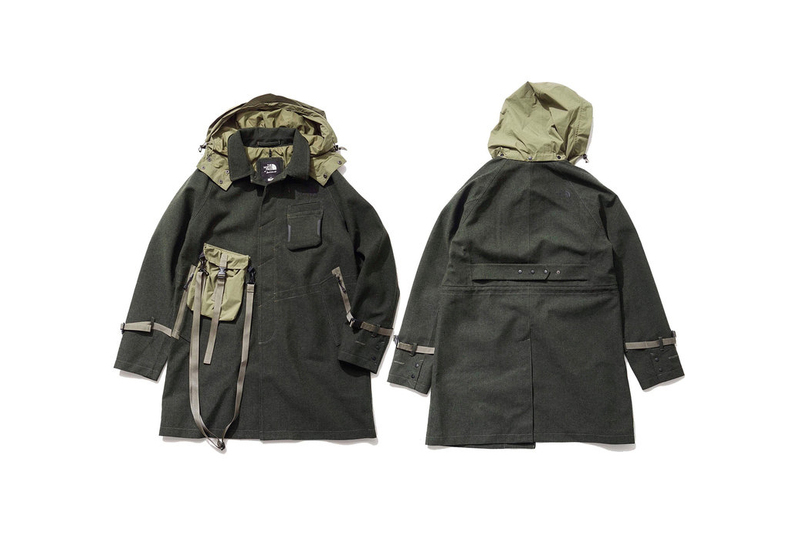 Kazuki Kuraishi revises a wide variety of staple wintertime items, ranging from parkas and mountain jackets to branded tees and climbing pants, with the majority of items informed by a beige or navy color motif. Hefty GORE-TEX-lined parkas sport detachable bags and plenty of adjustable straps, features that carry over to other outerwear. One jacket sports buckles for a tighter fit, while shell pockets and covered pockets elevate a duo of quilted layers. Playful pockets also appear on a muted pullover and hooded parkas, while tees utilize stylized TNF branding and “MESSAGE FROM FIELD” verbiage. Functionality is key to the range, with packable outerwear bolstered by Primaloft and Pertex detailing for extra weather resistance. Keep an eye on the goods to hit the stockists denoted on The North Face Black Series’s site in the near future. Elsewhere, The North Face introduced a “CMYK” capsule collection for the upcoming cool weather. PUMA brings back the archival runner to celebrate its 20th anniversary. A play on Verdy’s signature imagery. The video was directed by Sage English.